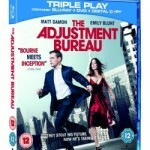 This is an excellent film, 4.5 stars. Where to start? This film has to be worth 4 stars of anyone’s money. This film has some good ideas but doesn’t really work that well, so I have given it only 1 star. 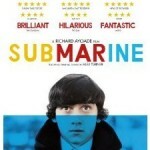 Submarine is a really good coming of age film 4 stars. This is Oliver Tate’s (Craig Roberts, Becoming Human, TV), view on life, his monologue on how life is shite and how the planet holds nothing for his hopes and dreams,(typical 15 year old, me thinks). 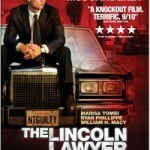 A 4 Star Courtroom drama that doesn’t take a back seat. Mike Haller (Matthew McConaughey, Sahara) is no ordinary defence lawyer, he is streetwise and rides the streets in his Lincoln town car, always on the move where his clients can find him. A 4 1/2 Star Romantic Sci-fi/Thriller. Unknown is a truly great action thriller, and I have given it 4.5 stars. This is the latest offering from Jaume Collet-Serra (Orphan, House of Wax), not a name I was familiar with, but certainly someone I will be keeping an eye on after this.